Thanks to the inclusion of basic, linear stress analysis functions in most CAD programs, designers and engineers have become fairly familiar with setting up boundary conditions, meshing, and solving straightforward analysis scenarios. With simpler interfaces, wizard-driven setups, and guided menus, these CAD-integrated simulation and analysis applications paved the way for FEA (finite element analysis) and CFD (computational fluid dynamic) tools, the next step up in the hierarchy. These are also areas where most designers and engineers may feel ill-prepared. They may choose instead to forward the CAD geometry to a specialist in the next cubicle, because the calculation, software, and method required to tackle the problems are just too difficult for those outside the discipline to grasp. The iterative process and repeated transfers between CAD-using engineers and FEA/CFD-using specialists are bound to take up precious time, jeopardizing the product’s delivery to the market. 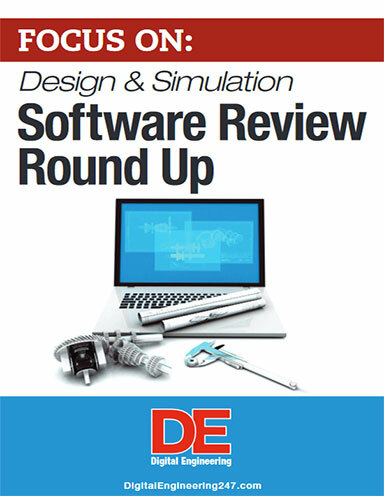 Mentor Graphics, a leading name in embedded systems design software, is betting that, if it delivers a CAD-integrated CFD solution with a streamlined, wizard-drive interface, more people might be encouraged to run CFD simulations throughout design cycles. “Because of its intuitive interface, FloEFD is extremely easy to use—in fact, most design engineers report that they can use FloEFD with less than 8 hours of training,” the company claims in the product’s home page. Early this month, Mentor Graphics released FloEFD, a plug-in that lets you run fluid flow and heat transfer tests right inside Siemens PLM Software’s NX CAD package. (The software is also available for PTC’s Pro/ENGINEER and Dassault Systemes’ CATIA. “Since you’re using the same exact geometry for CAD and analysis, you maintain one set of data across your product design process, and your analysis is always in tune with your design,” according to Mentor Graphics. At present, Mentor Graphics R&D is still working on translating NX materials into FloEFD-ready properties, so you’ll most likely need to reassign materials before running analysis. NX-integrated version of FloEFD is expected to ship in June.